Back in 2014 there wasn't much available for "gravel specific" tires. there was Bruce Gordon's Rock & Road tire and.......the Clement (now Donnelly) MSO was announced, but not quite available yet. (Edit- The MSO was out Spring 2012. The tubeless version was announced, butb not out yet. Thanks to "Dan" a reader who pointed this out.) It is amazing to me that five short years ago we were looking at less than a handful of "gravel cycling tires", and you know what? I was glad we had any at all. But it all must have been bubbling up in engineer's minds and marketing rooms behind closed doors at certain cycling companies. If there is one thing I've learned throughout this cycling industry "career" I've had it is that "nothing gets made unless the numbers are there." What that means is that any products you see, typically, are only being made because the projected sales figures seem real enough that manufacturing will get their money back out of making a certain new product and more. The Nano 40 TCS was the tire that made gravel riding a true adventure in that it had dirt prowess as well as a nice roll on harder, smoother surfaces. The tubeless component was really what turned the tire into a pretty decent contender. In its folding bead, tubed version, it wasn't all that impressive. There were better choices out there already. But the Nano 40 TCS holds up over time rather well. Besides the excellent, well sorted TCS tubeless system, the Nano 40 also benefited from an interlocking center tread block pattern which formed a pseudo-center line which promotes fast roll. This saved the Nano from being perceived as an overly aggressive tread for most gravel roads. The other thing the Nano has going for it is that it has a voluminous casing without being really wide. Tall-ish and a true 40mm's wide, the Nano gives the rider using it a cushioned, smoother ride over the crushed rock and it still fits most circa 2014 bikes used for gravel. Subsequent tires grew, stretched, or were made wide from the onset so that they were tough to mount into many bikes until recently. The Nano 40 also seems to wear very well. 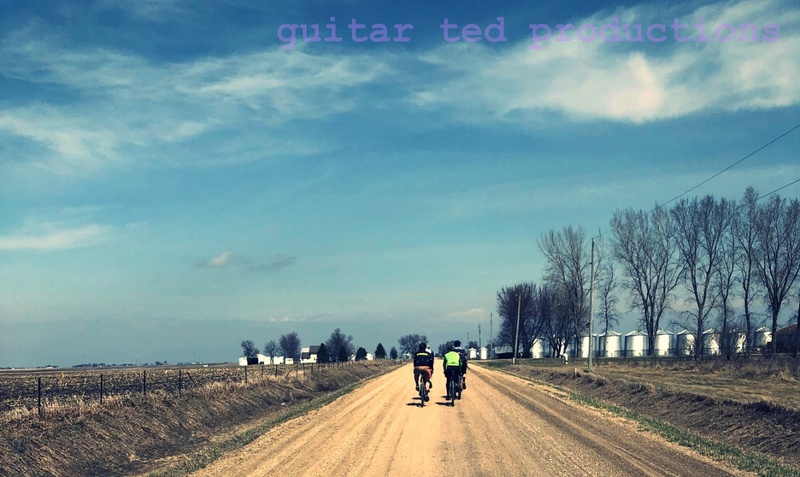 During the 2016 Guitar Ted Death Ride Invitational, I looked over to see that Scott Sumpter had a set of very worn looking Nano 40's he had put thousands of miles on in two seasons of use. So, they wear well, ride well, and have an excellent tubeless system behind them. My experiences on the Nano 40 have all been long enough ago now that I felt compelled to revisit the tires. Not that these are not available anymore, but I did set up my original, 2015 set. In fact, you can get a swanky looking skinwall set now days, and I would rather be running that, if only for the good looking part. Otherwise, these tires I have look well enough and the set up just like they used to- easily and hold air just fine. Stay tuned for an update later this Spring about what I think about how the Nano 40 has held up over time. 40mm tires. In fact I have ridden in various versions of the DK from 2012 to 2018 and I'm riding the DK100 this year. All on Clement MSO 40's and last year on the Donnely MSO 40. So I was curious about the introduction of the Clement MSO in 2014. @Dan- You are correct. I was thinking of the tubeless version of the MSO. I will make a correction. ps: Had I checked my own archives I would have found this. I had a set in 2012 as well! I agree on your take on the difference between tubeless and tubed version. The tubed version are very doggy on pavement.